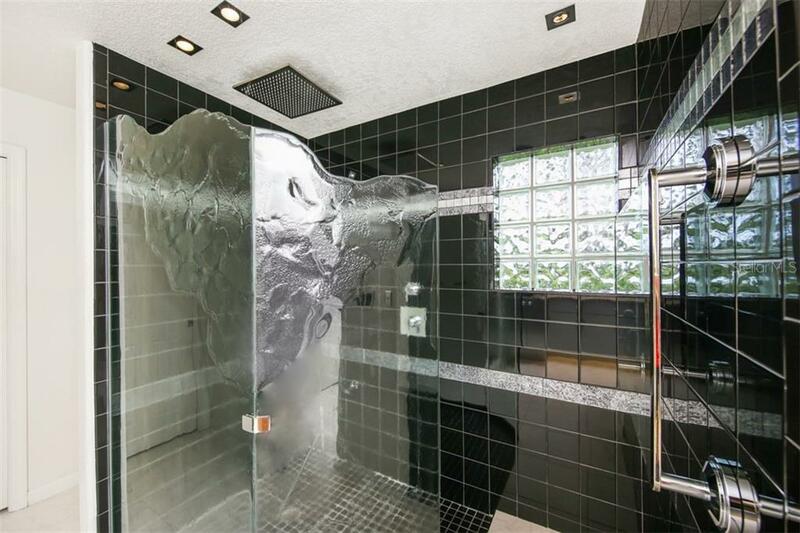 Ask a question about 3040 Big Bend Cir, or schedule a tour. 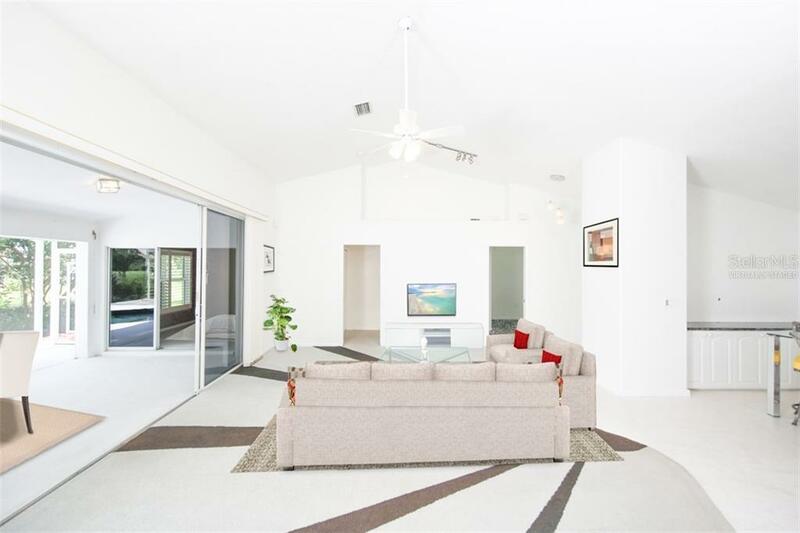 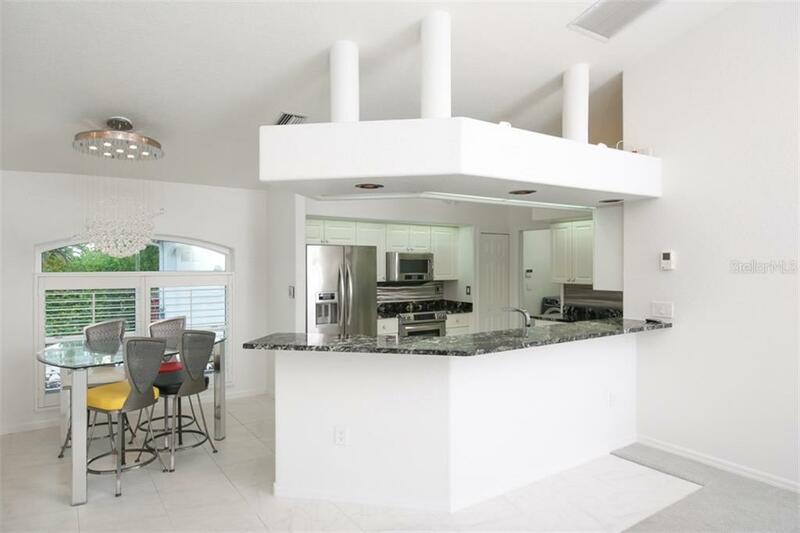 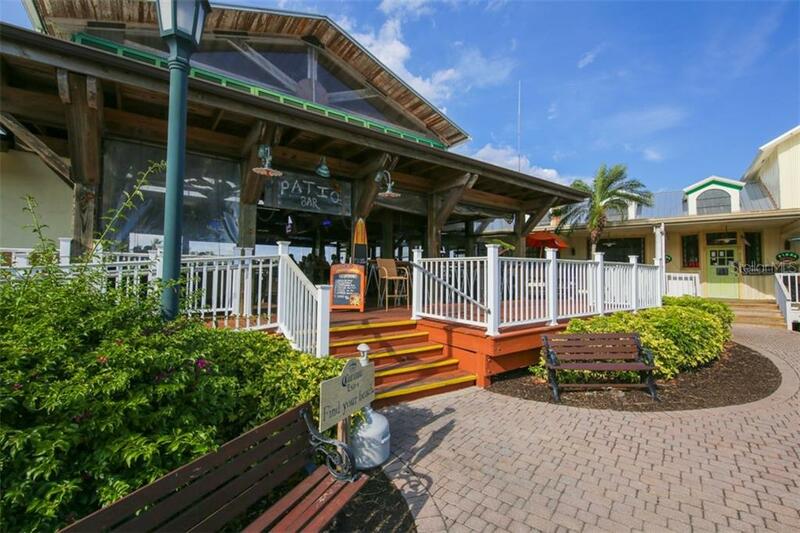 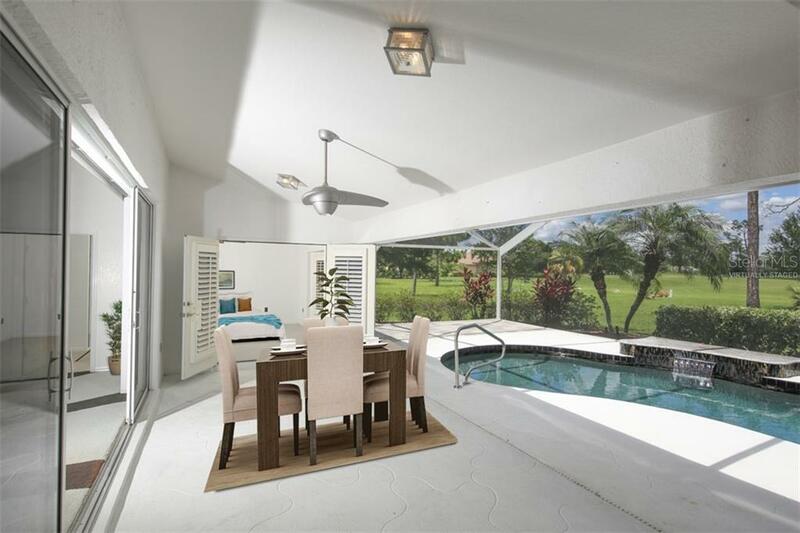 One or more photo(s) has been virtually staged One-of-a-kind home provides a modern twist to life in paradise! 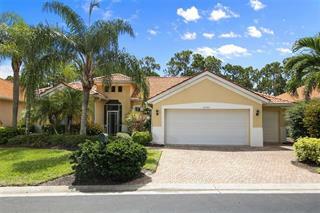 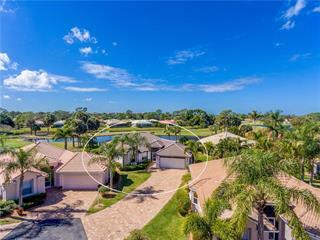 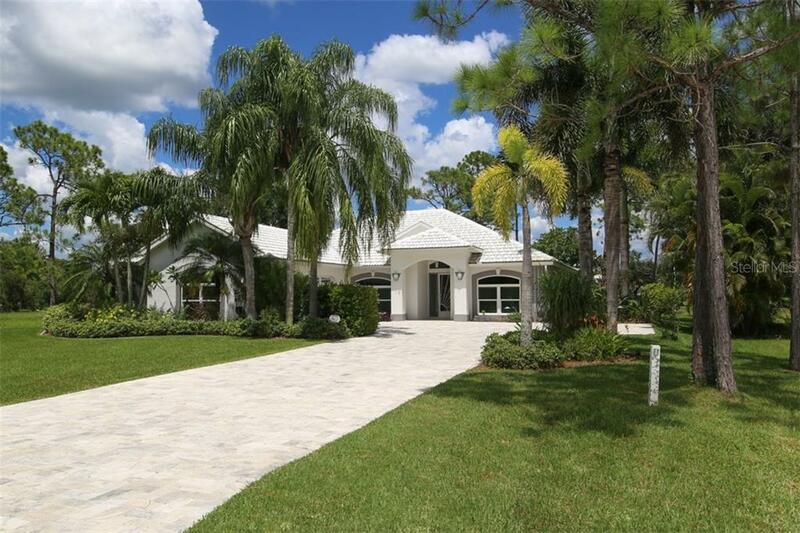 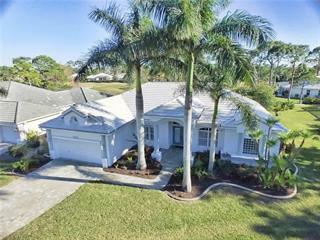 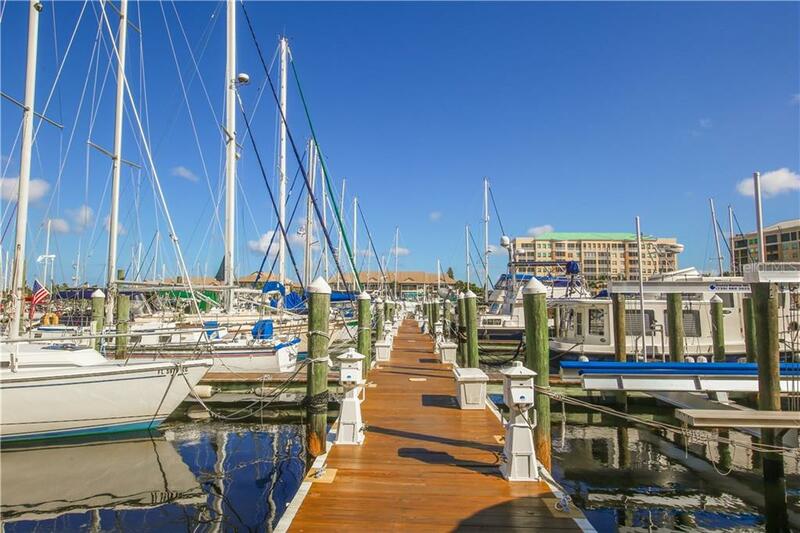 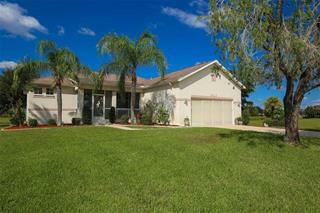 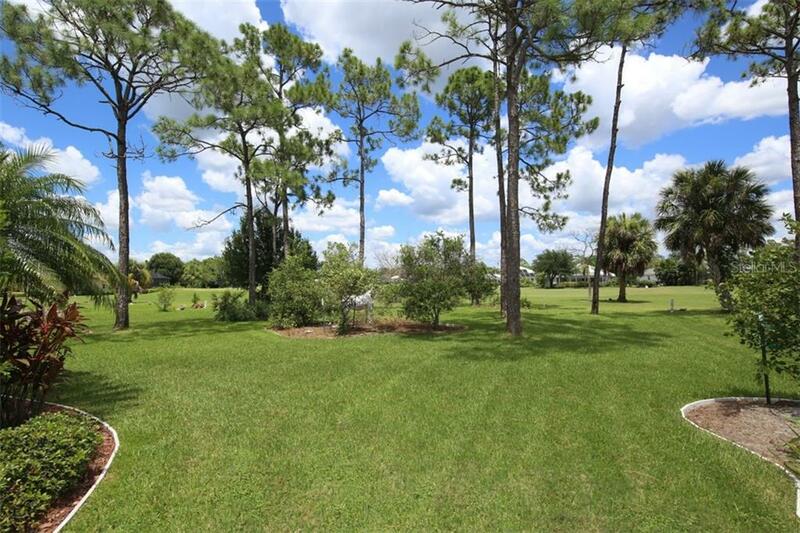 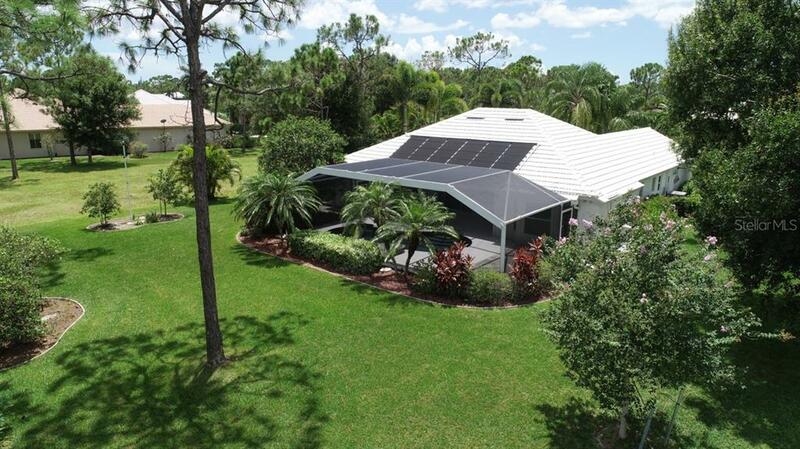 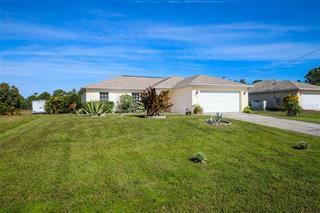 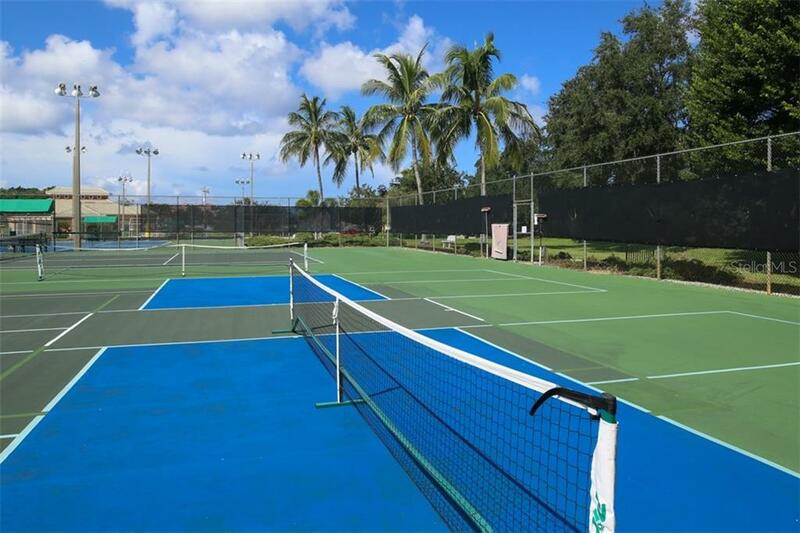 Situated on an exclusive culdesac of custom built homes on oversized estate parcels. 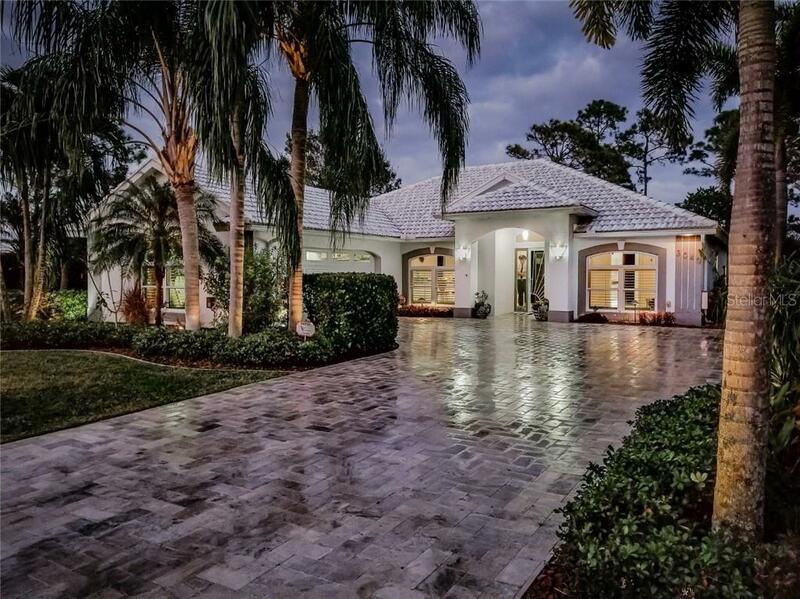 This stately property radiates curb app... more.eal & lures you to wander down the exquisite Travertine paver drive accentuated by swaying palm trees. 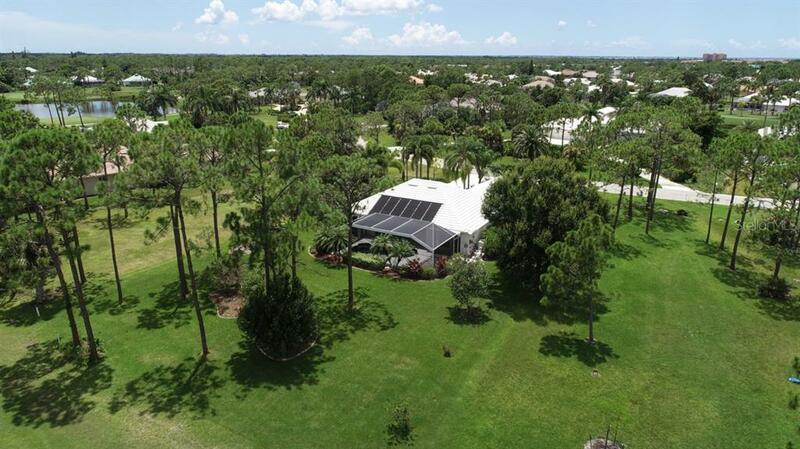 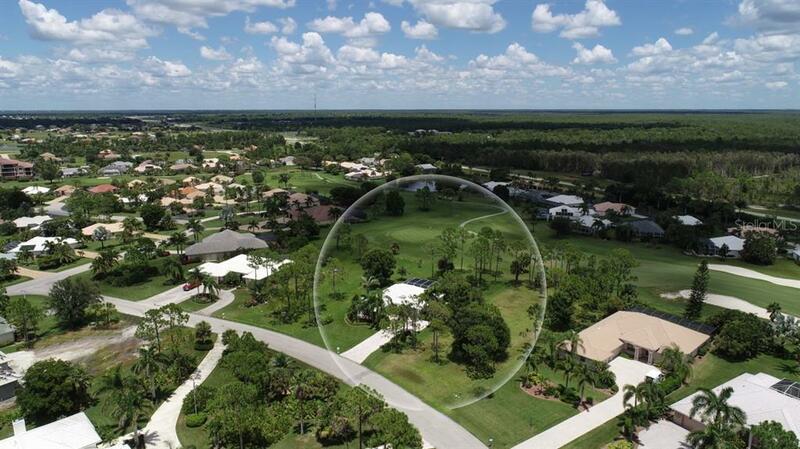 Privacy abounds from this ½ acre estate with park like yard abutting the golf course. 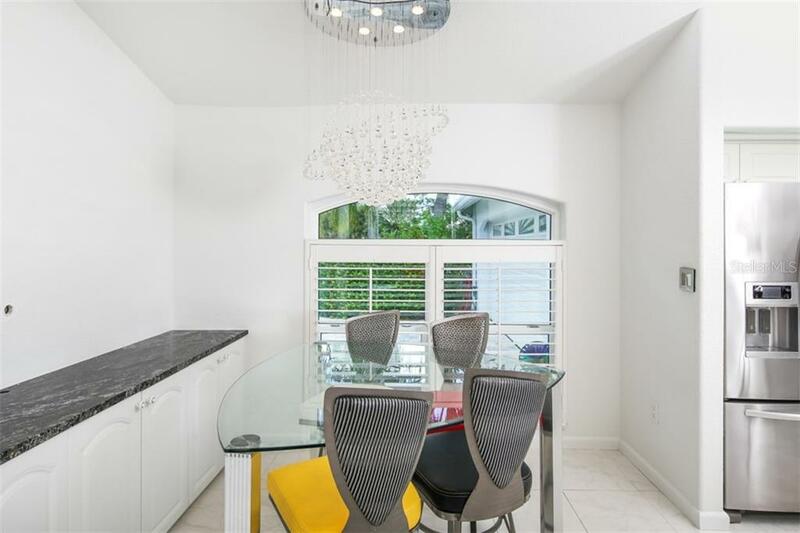 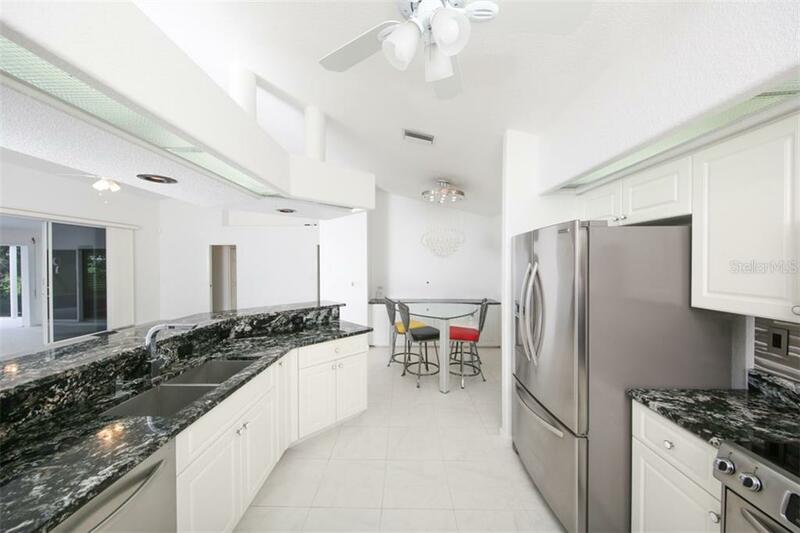 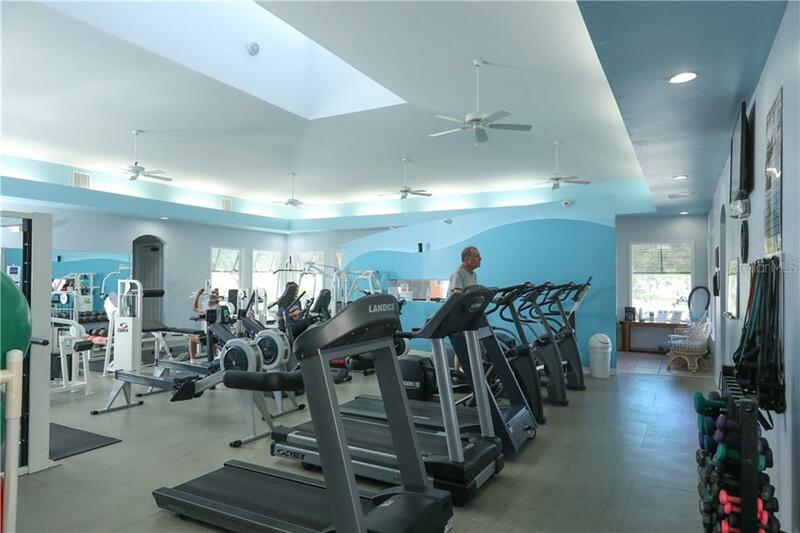 Meticulously maintained & incredibly updated, the interior is just as spectacular! 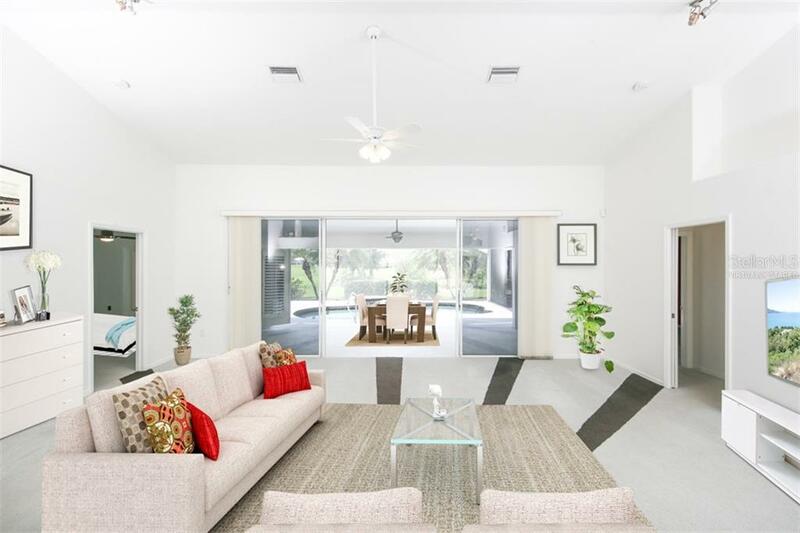 This sunny great room plan lives large with soaring ceilings, expansive sliding doors & open kitchen, making it the ideal venue to host your guests. 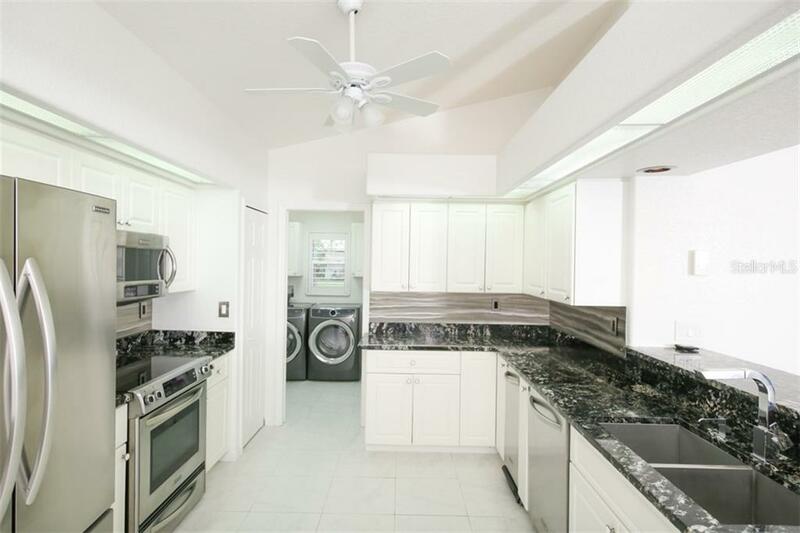 It’s a pleasure to make meals in this kitchen, abundant in upgrades & work space. 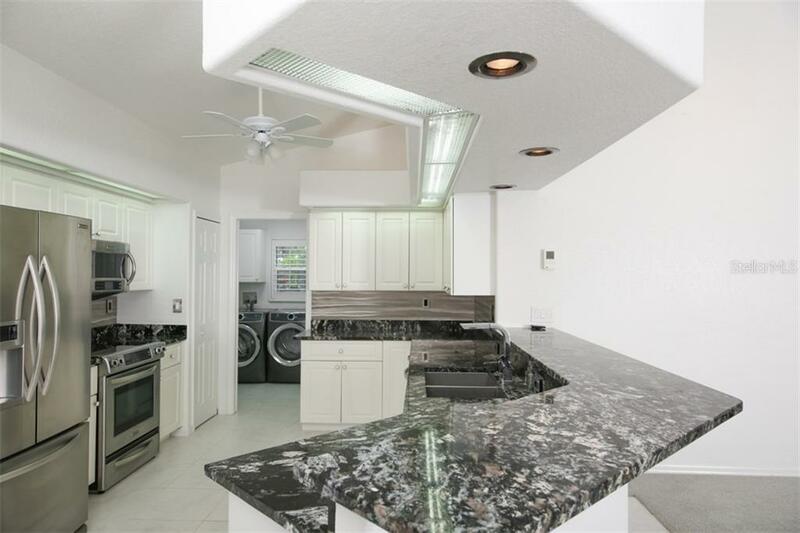 Australian granite counters are accented by a stainless backsplash, high-end stainless-steel appliances, & topped off with a dazzling Swarovski crystal chandelier in the adjoining nook. 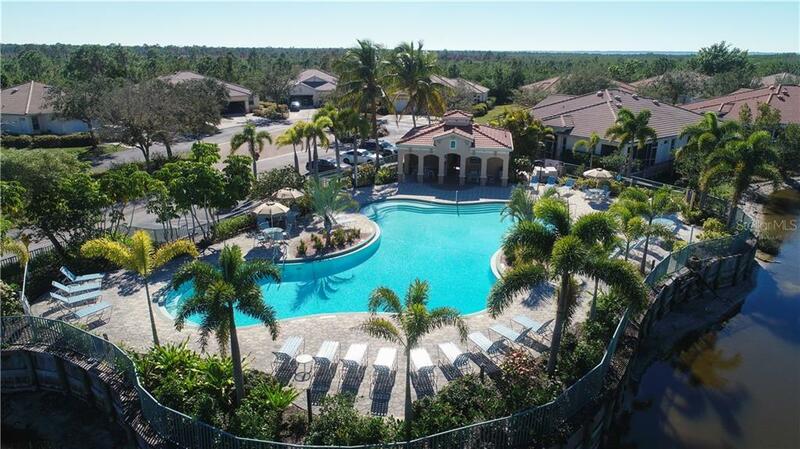 Step outside to the expansive pool area & you will never want to leave! 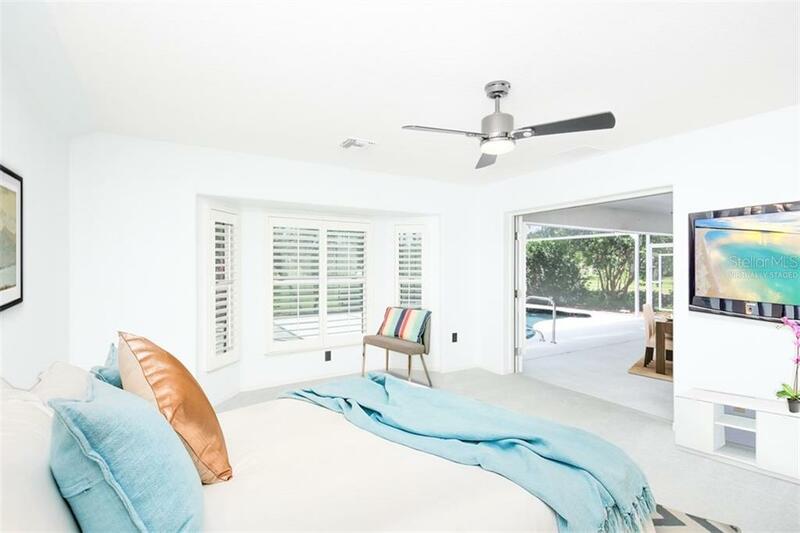 The freshly resurfaced solar heated PebbleTec pool w/waterfall feature provides a soothing soundscape to your leisurely outdoor gatherings. 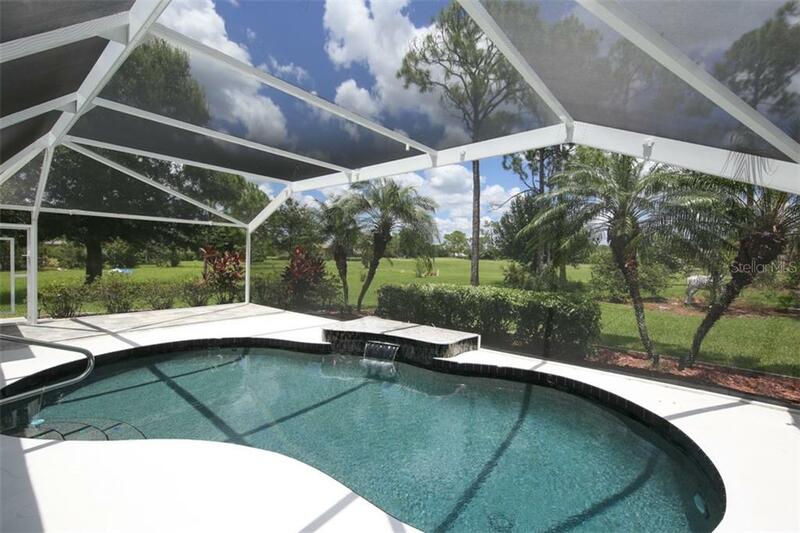 A picture-perfect view calls for a picture window lanai cage on all three sides, with reinforced doors. 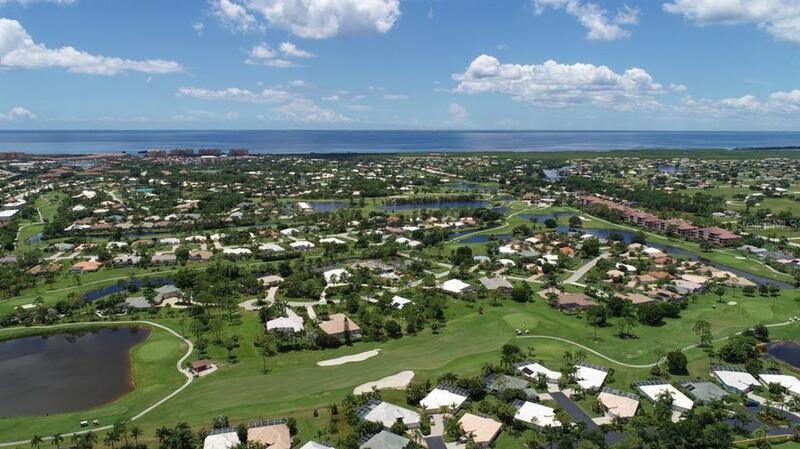 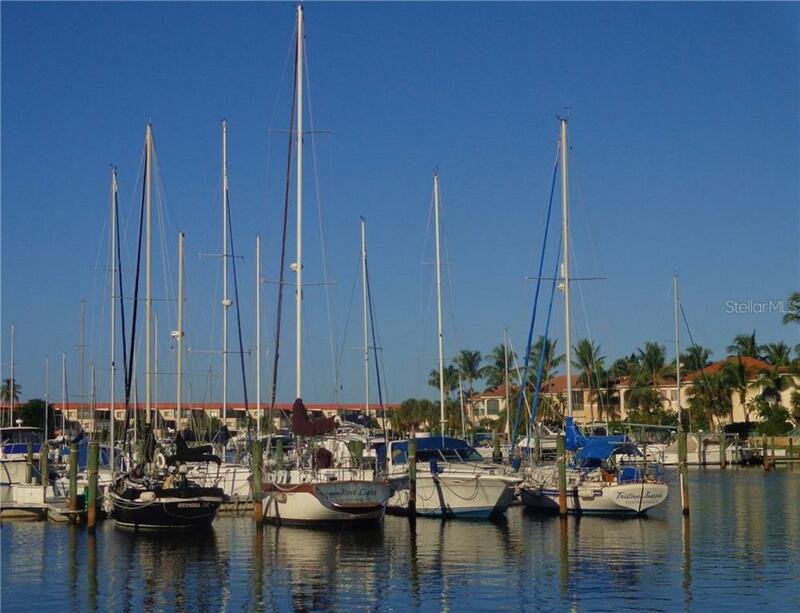 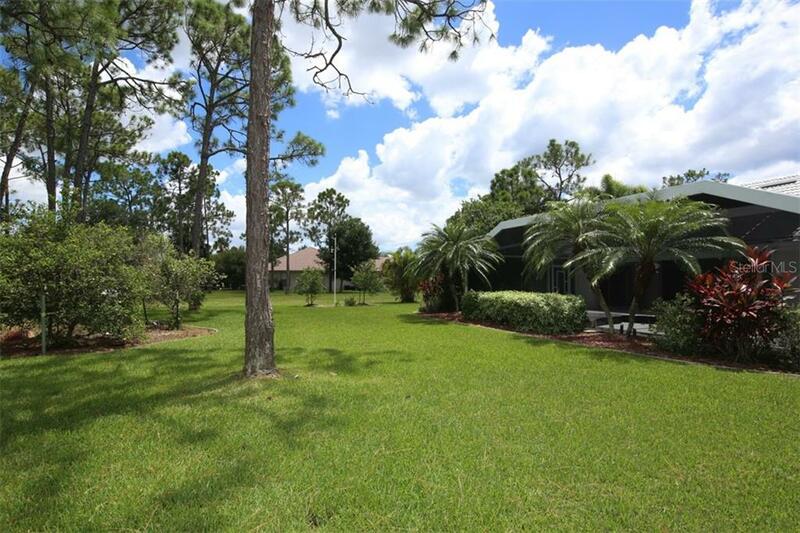 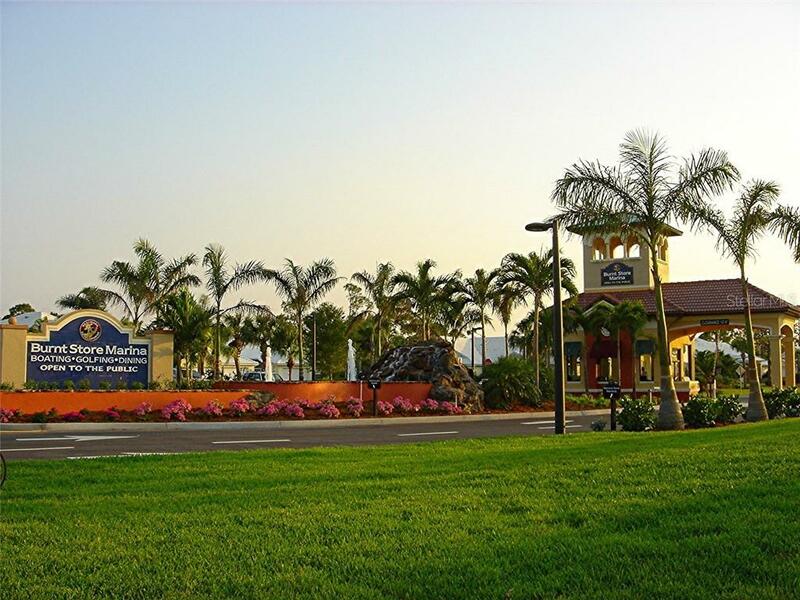 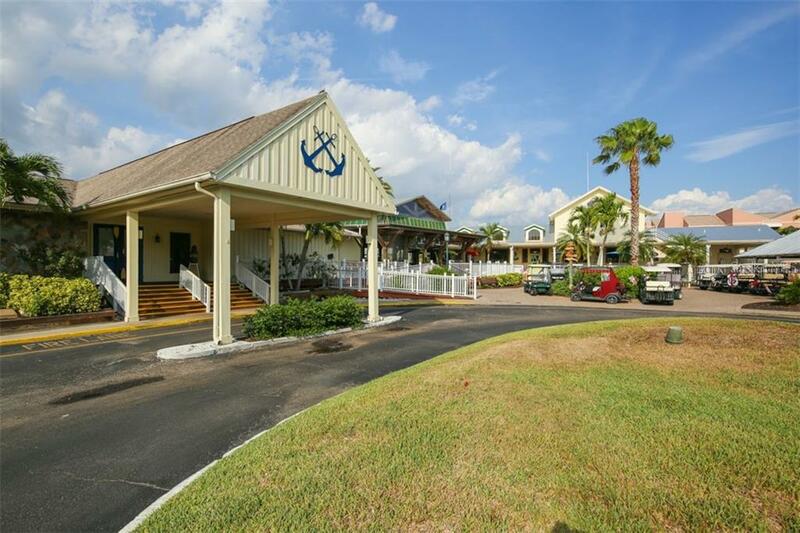 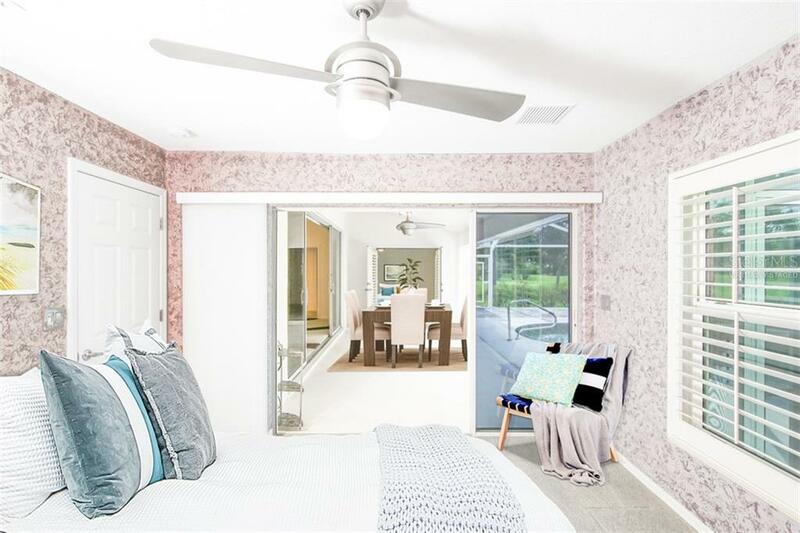 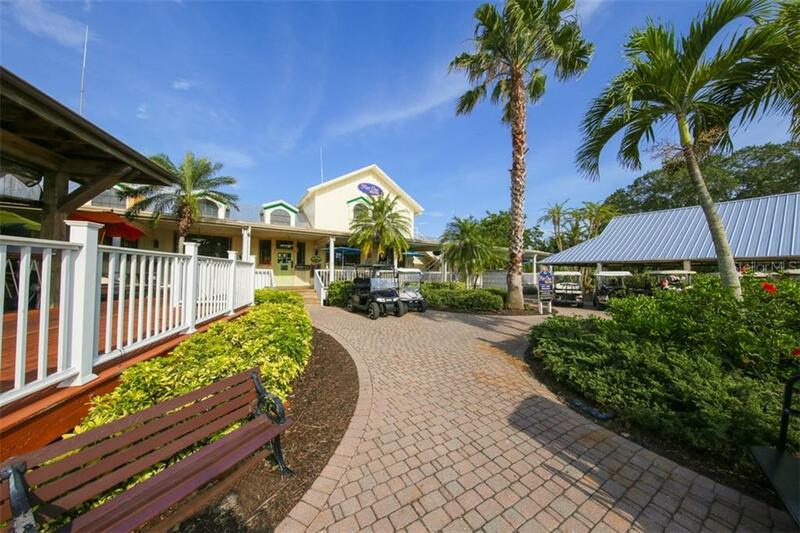 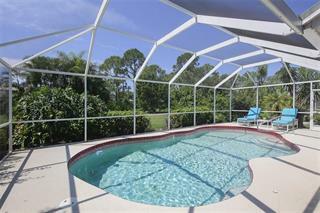 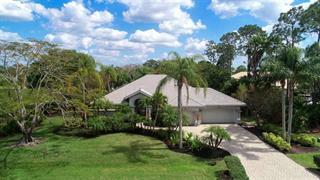 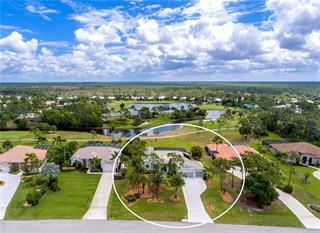 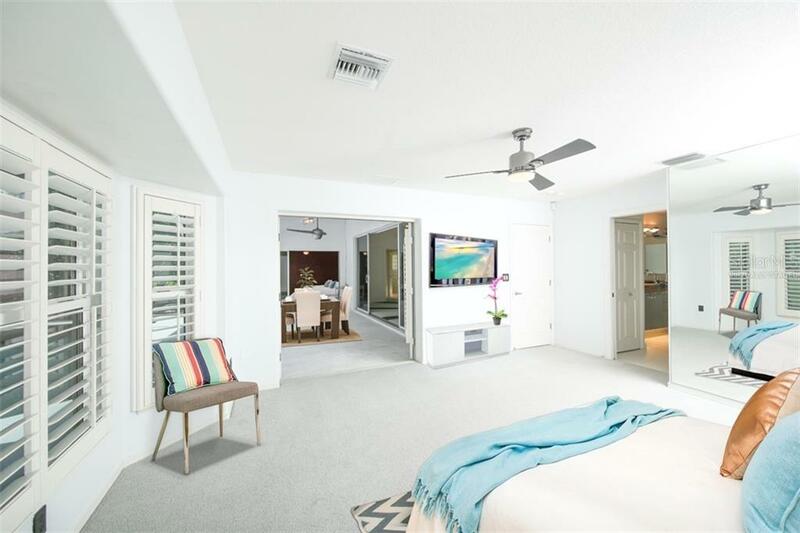 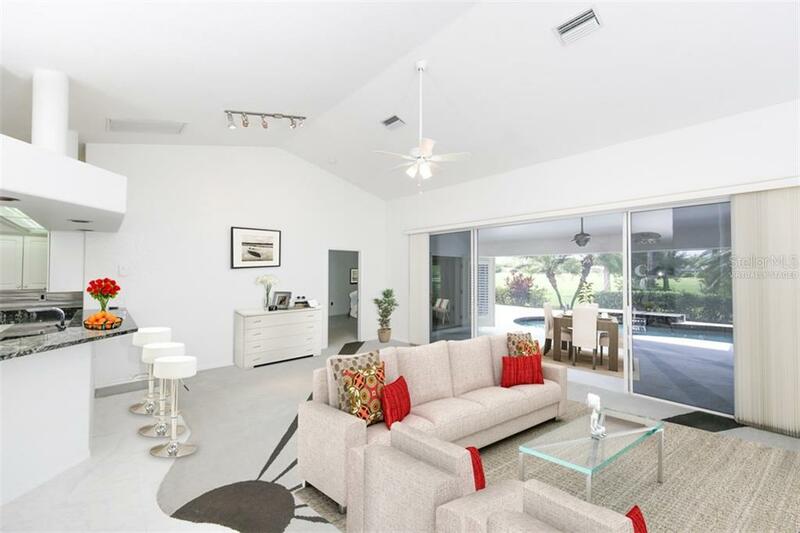 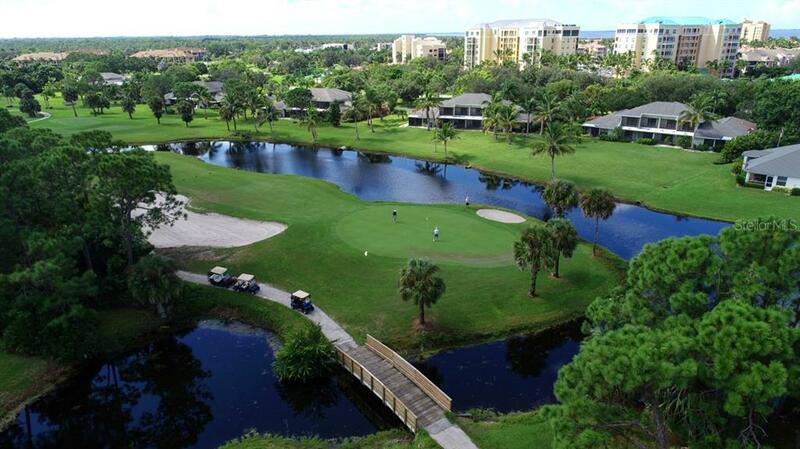 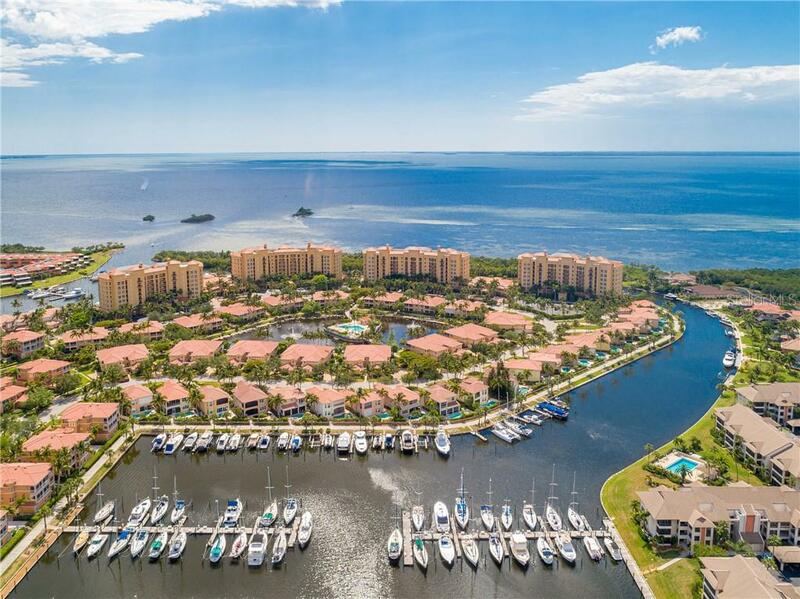 Tranquil golf course scenes can enjoyed from your lanai as well as the master suite. 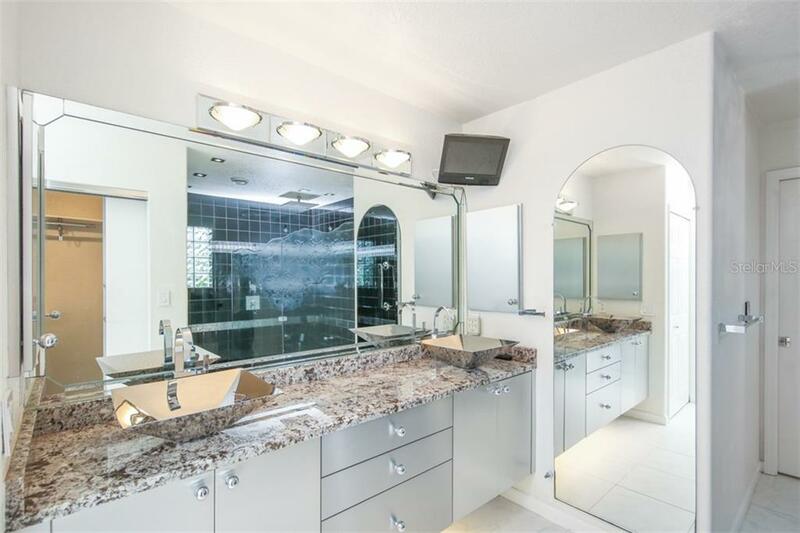 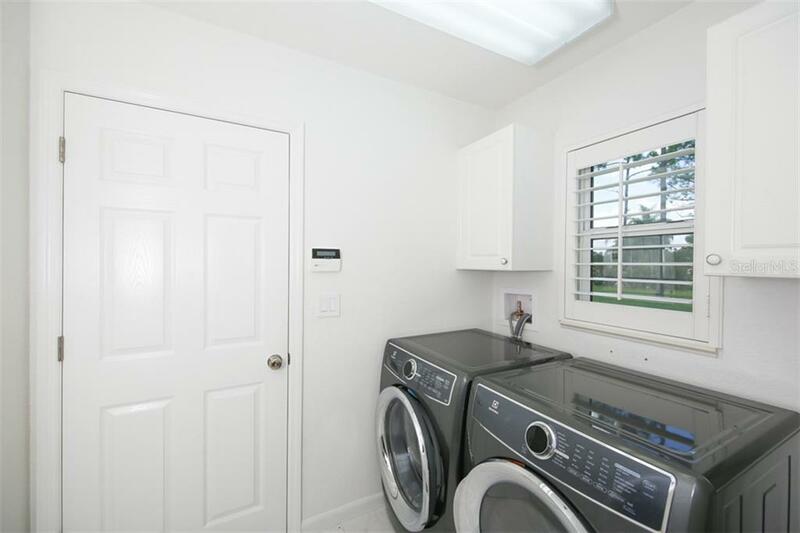 More unique upgrades can be found in the master bath including stainless vessel sinks, unique glass enclosed Roman shower with rain fall head & towel warmer. 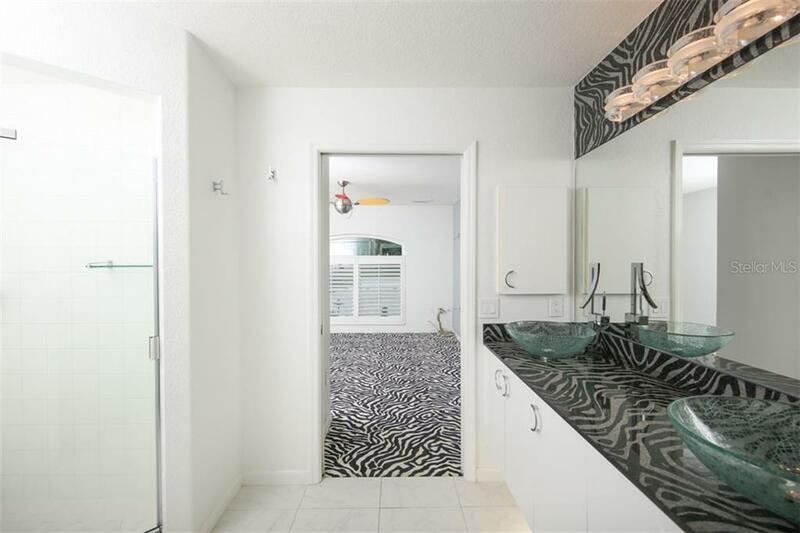 The guest bath features unique zebra etched Italian granite, vessel sinks, & chrome fixtures.